Note (picture above) the rounded masonry... or is it masonry? From all outward appearances, this is solid stone, meticulously carved and carefully fitted. 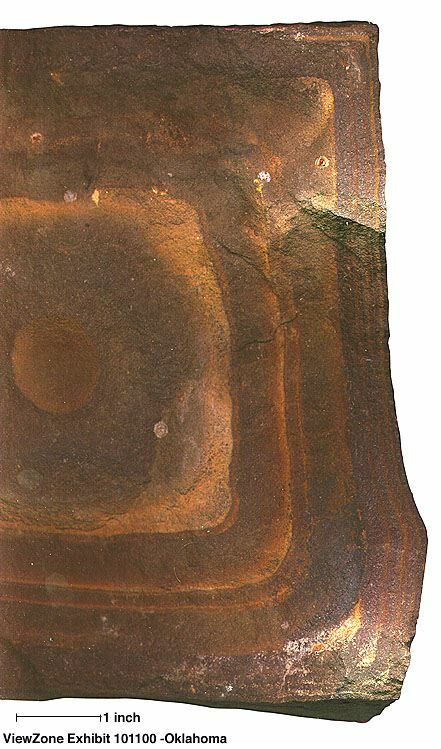 The eroded surface reveals that these "stones" are actually manufactured "cells" of some unknown material. Stairway to... where? 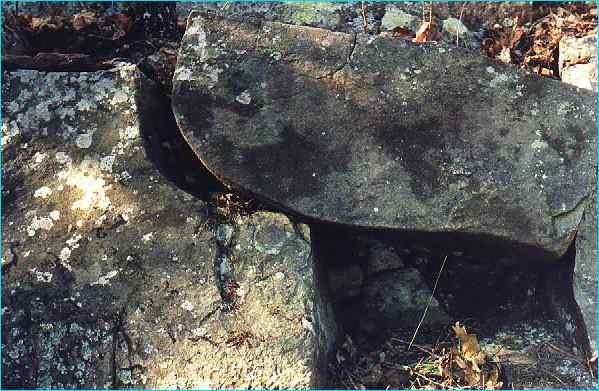 This site has evidence of large stone rooms or chambers. What were they for and who constructed them? ViewZone received a small sample of the cells for analysis. More evidence of something strange! 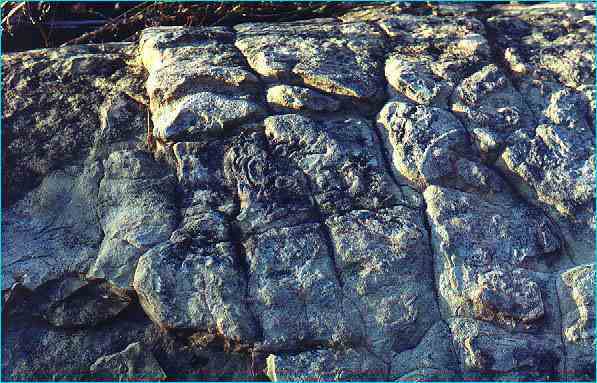 I was looking at the images on your site concerning the Phoenician-like surface in Oklahoma and was surprised by the similarity to a rock ‘shelf’ at a nearby location, over here in England. We have a local beach which is noted as an historical site with a ‘platform’ with a block relief, very similar to that at the Oklahoma site. 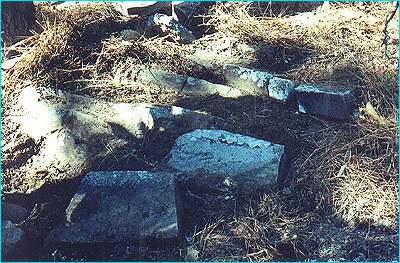 The platform is lying at an angle and has been partially uncovered by millennia of tides. I have attached some photographs of the platform, to be found at Doniford Bay, Somerset, England. 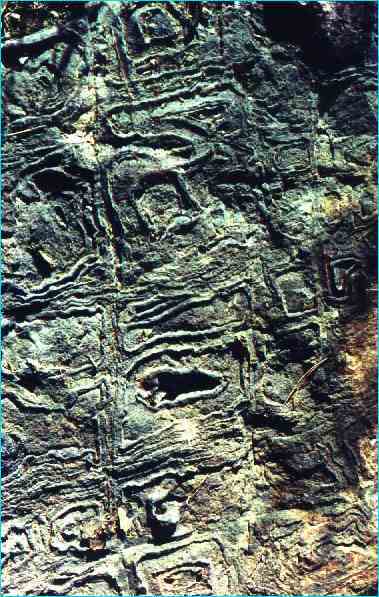 Some images show evidence of fossil remains to confirm their age.